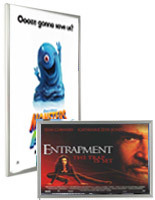 These movie poster frames are some of the most useful sign hanging options available. The theater art framing fixtures come in a variety of styles with many finishes. 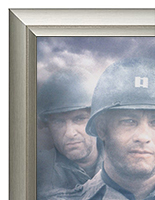 Commercial movie poster frame dimensions can be either 27" x 40" or 27" x 41" depending on the size of the artwork. 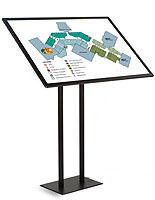 These ready-made graphics display holders are designed for ease of use and durability. 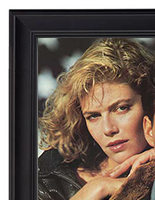 Our commercial-grade 27x40 movie poster frames are all made from high quality materials to withstand heavy use in public areas as well as private offices or collections. 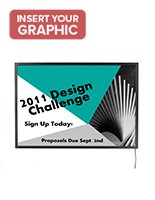 AllPosterFrames.com offers a wide selection of highly functional yet affordable ready-made print display fixtures to meet any needs. 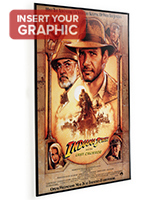 These classic one sheet movie poster frames, otherwise known as ready made theater print framing, are well suited to advertising everything from the latest Hollywood blockbuster film to special retail merchandise on sale. 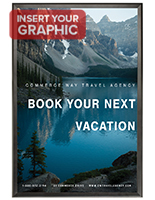 Oversize graphics are ideal for showcasing marketing materials or artwork, and our huge selection of in-stock display framing in different dimensions, designs, finish colors, and styles can match any commercial display need. 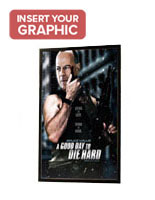 Why are movie poster frames offered in both 27x40 and 27x41 sizes? 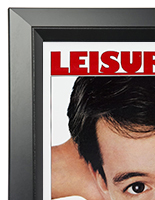 Although the 27x40 poster frame is the standard size today, framed hollywood theatrical ad prints have existed as long as there have been films to advertise. Until 1983 in-theatre advertising signs for coming attractions were known as "one sheets" and measured 27" x 41" in size. 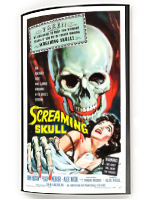 Commercial theater poster frames were designed to accommodate these oversize graphics. After 1983, however, film art signs were reduced to 27" x 40" for economy. 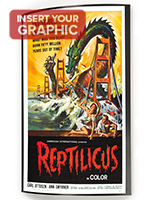 By specializing in theater poster frames, AllPosterFrames.com can leverage our purchasing power to offer the widest, most comprehensive selection of oversize graphics displays in North America. In contrast, big box stores like Wal*Mart, Ikea, and Target are known for purchasing and stocking the most saleable sized framing rather than the best, or widest, selection. Our real-world warehouse carries live in-stock inventory in order to reduce order-to-ship time as well as provide wholesaler pricing on every order. 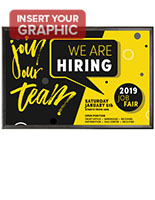 Every 27x41 pr 27x40 poster frame offered for sale on our site starts at economy pricing and offers bulk purchase discounts for additional cost reductions. In addition, most graphics holders will ship same day as ordered. 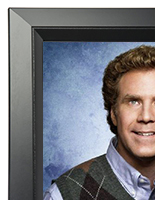 What 27x41 and 27x40 poster frame styles are available for sale? 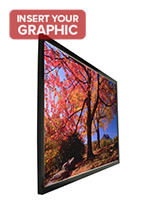 Swing-open frame styles are designed for fast-change image swapouts without having to remove the enclosures from the wall. Ideal for high traffic public areas, swinging front framing can feature either locking or magnetic closures to protect artwork. Snap open framing also allows prints to be removed and replaced while the fixtures remain wall-mounted. 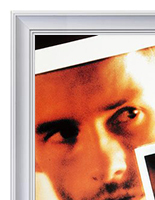 For maximum security, some styles feature safety closures that protect valuable prints. Slide-in framing comes in top, side, and rear-loading designs. These versatile styles are an economical alternative and are available in a full range of profile widths and finish colors to complement any decor. Cheap poster frames for 27x40 graphics can utilize plastic extrusion, thin plastic lenses, and cardboard backing to reduce costs. 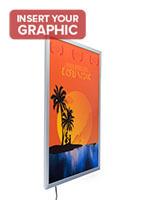 Security and outdoor poster frames feature locks and weather-resistant rubber gaskets to seal out water. Protecting advertising graphics is a necessity in high traffic public areas. 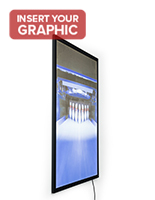 Light box poster framing for wall mounting film-size graphics feature LED backlighting for maximum visibility. Wall-mounted, ceiling, and window-hanging designs are available to match any commercial space. Brilliant illumination attracts customer attention in any environment. Deluxe or designer styles feature upscale details such as convex curved front graphics covers or lenses, magnetic enclosures, or extra-wide molded framing. 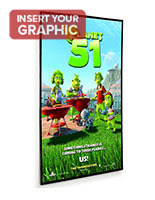 Our ready made film poster frame styles are inexpensive, but the innovative construction of each unit does not reflect the low cost. Over the years, our company has figured out how to craft premium ready-made picture holders with all the necessary amenities for the least amount of money. 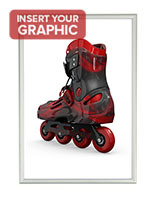 Both discount and deluxe frames allow advertisements and graphics to be displayed without worry of damage from elements, dust, dirt, or tampering. The slim profile plastic economy models have either a cardboard or plastic backer. 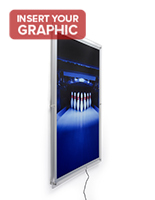 Most of the aluminum designs feature fully enclosed construction, but some of the slide-in units have plastic backboards for easy loading of prints, advertisements or artwork. Our ready-made economy framing styles have four piece extruded borders that fit together around postings. The metal frames are designed with either insert slots or snap open framework. No matter which style you choose, inserting a print or sign will be a simple process. 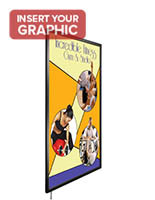 By specializing in theater poster frames, AllPosterFrames.com can leverage our purchasing power to offer the widest, most comprehensive selection of oversize graphics displays in North America. In contrast, big box stores like Wal*Mart and Target are known for purchasing and stocking the most saleable sized framing rather than the best, or widest, selection. Our real-world warehouse carries live inventory in order to reduce order-to-ship time as well as provide wholesaler pricing on every order. 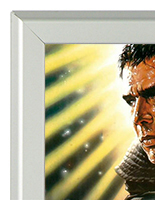 Every theater poster frame offered for sale on our site lists bulk purchase discounts for additional cost reductions, and most will ship same day as ordered. 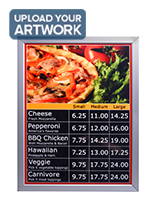 AllPosterFrames.com has sign display enclosures for sale at wholesale pricing for every purpose. Finding the perfect match can be a challenge when there are so many choices, which is why our experiences customer service specialists are standing by. Contact the call center or use the "live chat" feature online for immediate assistance with your order. We also accept E-mail. Whether you need a large poster display that frames 27 x 41 graphics or a set of silver finish deluxe outdoor stands with plastic backing panels, there are solutions available for every business and every budget.